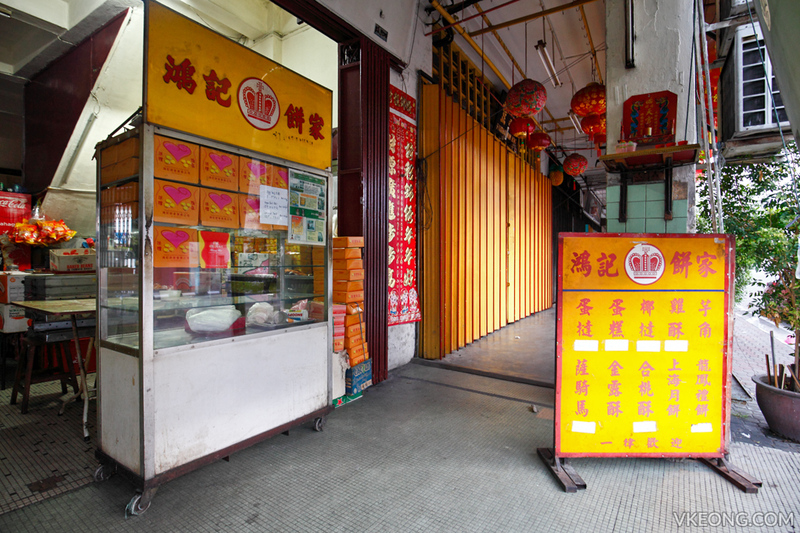 Hong Kee makes one of the best egg tarts in Ipoh that are reputed to have a crust with 48 crispy layers. 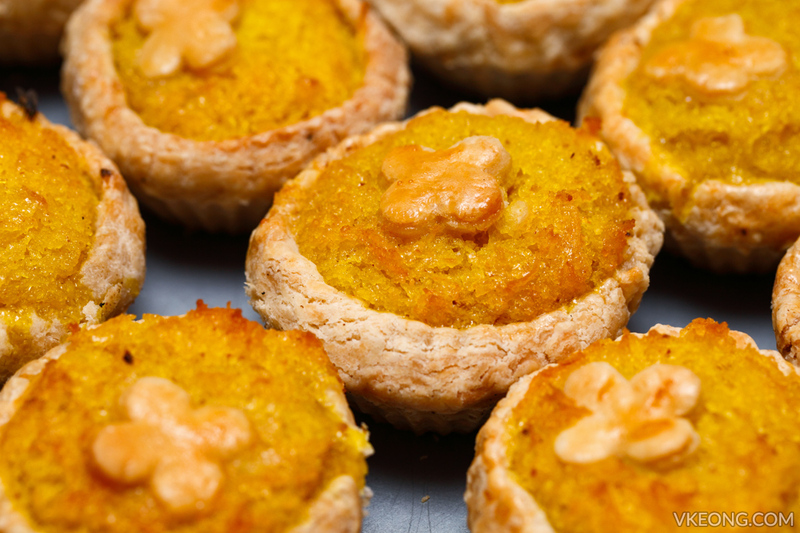 It’s a family run business and they get up as early as 3am to bake their pastries and cakes. 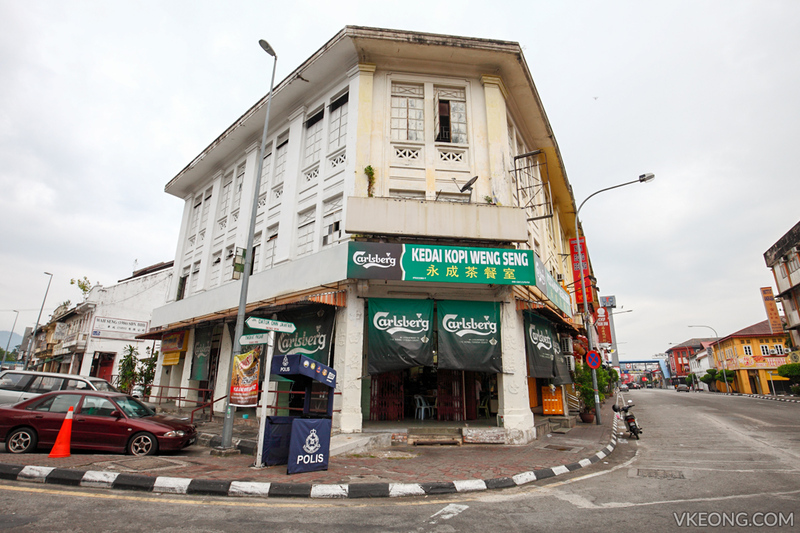 The products are then delivered fresh to their stall in Weng Seng coffee shop around 6.30am. Despite the immense popularity they enjoy, they remain down to earth and friendly towards their loyal customers who have supported them throughout these 40 years. 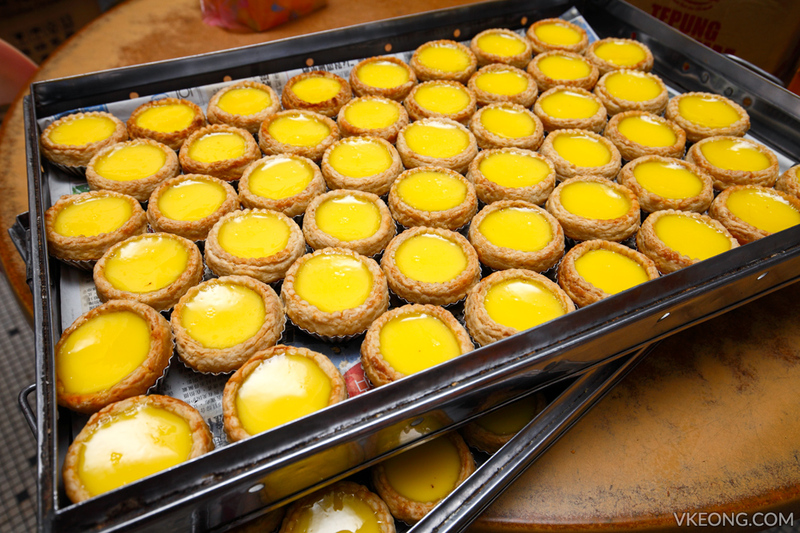 So its no wonder they are able to sell more than 1000 pieces/day of egg tarts during weekends and public holidays. 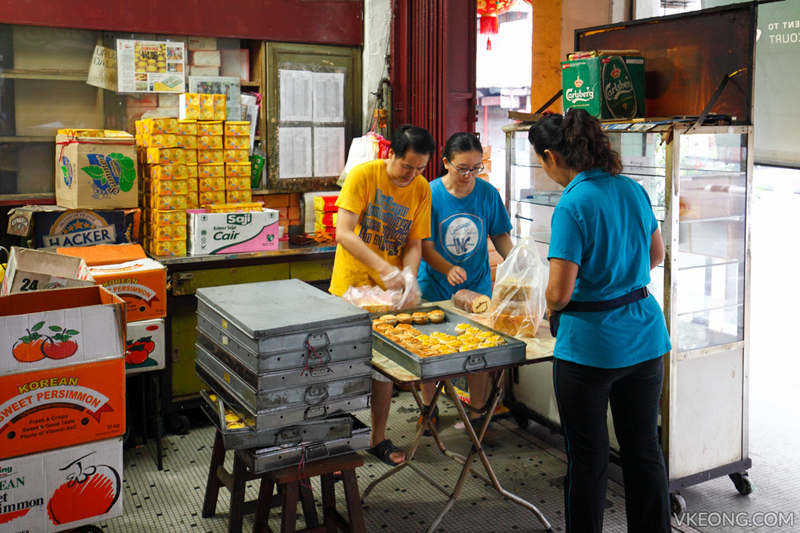 Customers were seen coming to buy their egg tarts as early as 7am. You will get a box for purchases of 4 pieces (RM1.60/pc) and above. Otherwise you will get them in plastic bags instead. 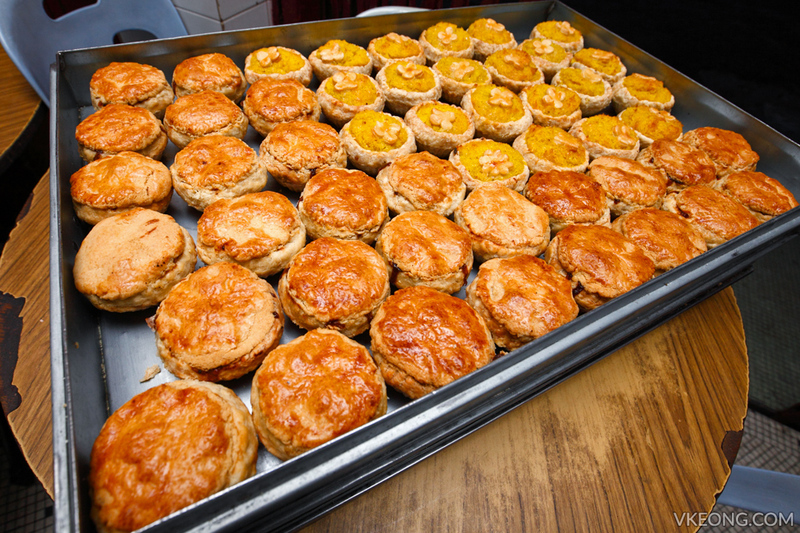 We had a few pieces on the spot and all I can say is that they are delicious especially when they are still warm. 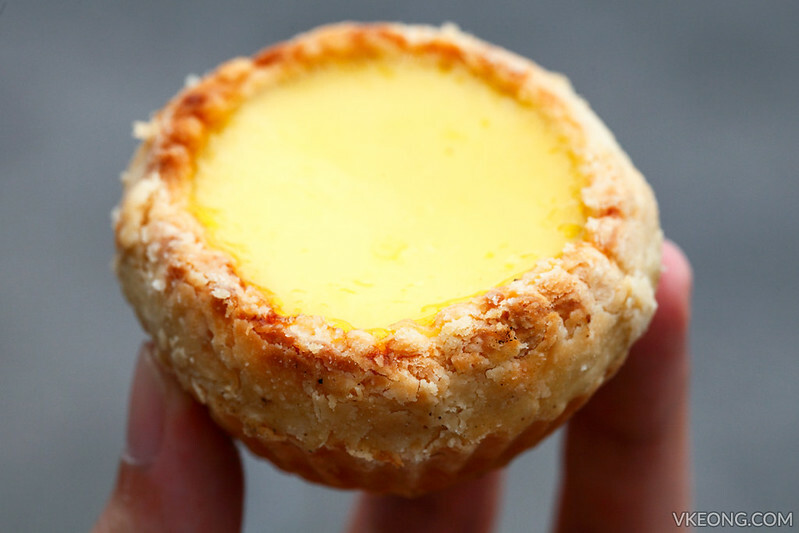 There’s a good amount of egg custard in every piece and fills up almost 90% of the shell. The sweetness of the rich and almost molten custard is just spot on and you can clearly smell and taste the buttery aroma. 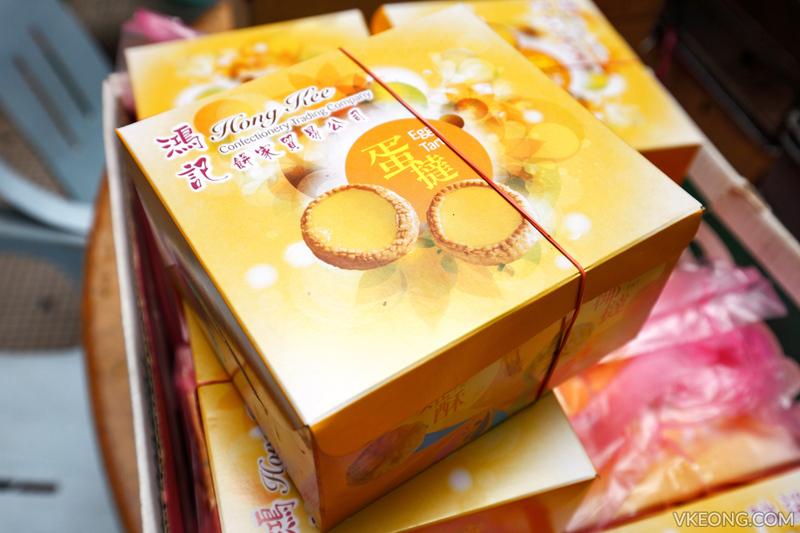 Other specialties to try: Swiss Roll, coconut tarts, walnut cookies and Sachima (萨其马). Come as early as possible to avoid disappointments. 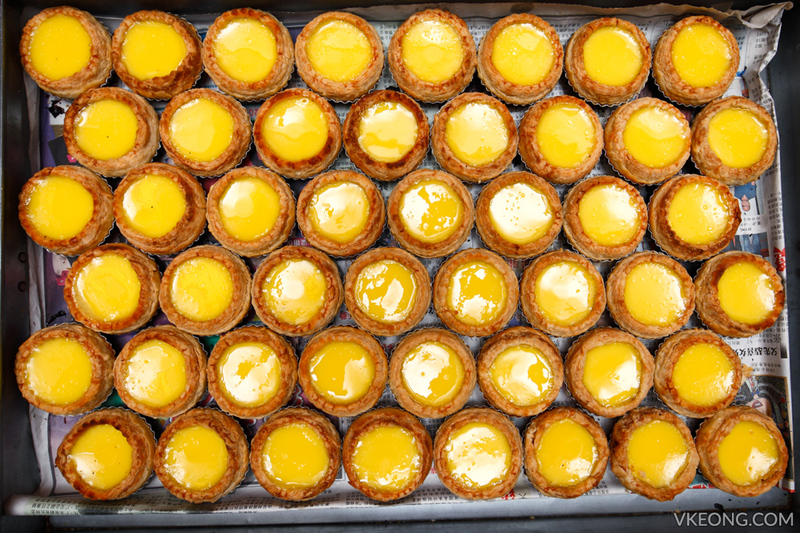 The post Hong Kee Confectionery – Best Egg Tarts in Ipoh appeared first on Malaysia Food & Travel Blog.